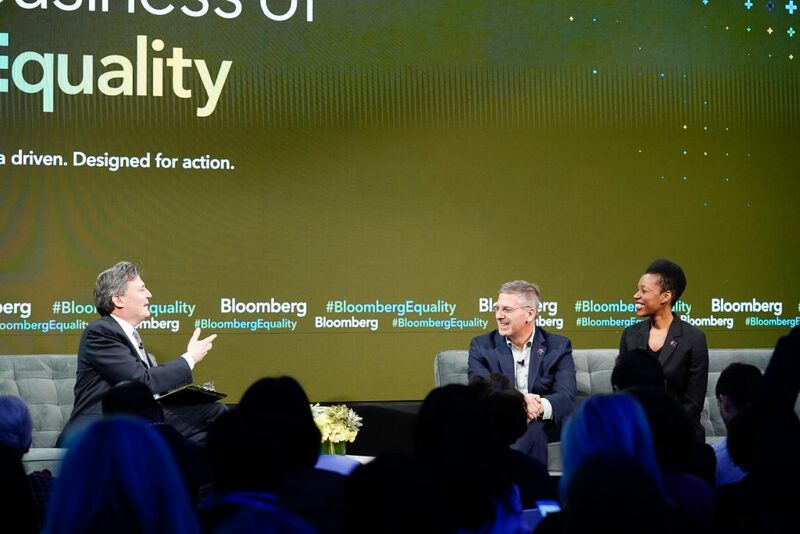 The Inaugural Bloomberg Equality Summit took place on Tuesday by convening more than 400 influential business leaders, advocates and activists to discuss diversity and inclusion initiatives in the workforce, future of equality, and what is at stake for both the economy and society at-large. The event was held at Bloomberg’s Global Headquarters in New York City. Data from Bloomberg’s Gender-Equality Index (GEI), a reference index that measures gender equality across internal company statistics, employee policies, external community support and engagement, and gender-conscious product offerings, was incorporated into various panels throughout the day, including a panel on “Solutions-Driven CEOs” with Rodney O. Martin, Jr, CEO of Voya Financial, Susan Salka, CEO of AMN Healthcare and Julie Sweet, CEO North America, Accenture, moderated by Peter Grauer, where they addressed how to create the right corporate culture of equality. Bloomberg also brought together the expertise of one of the largest newsroom in the world, with the immense data and analytical power of Bloomberg Global Data to enable the summit’s moderators and speakers to produce compelling, news-making conversations. Throughout the summit, the audience saw relevant data, charts and visuals that complemented the discussions taking place on stage, dynamically pulled from the Terminal, such as a breakout of workers by race in the tech industry, wage growth by gender, women in finance earnings, equal opportunity policy by region, LGBTQ out-performance and more. 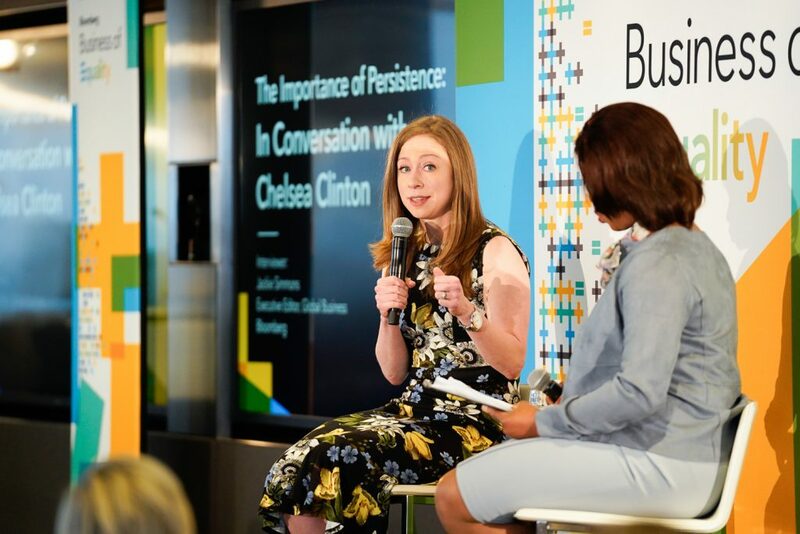 Chelsea Clinton, Vice Chairman, Clinton Foundation, spoke with Bloomberg’s executive editor of global business, Jackie Simmons about women and perseverance. 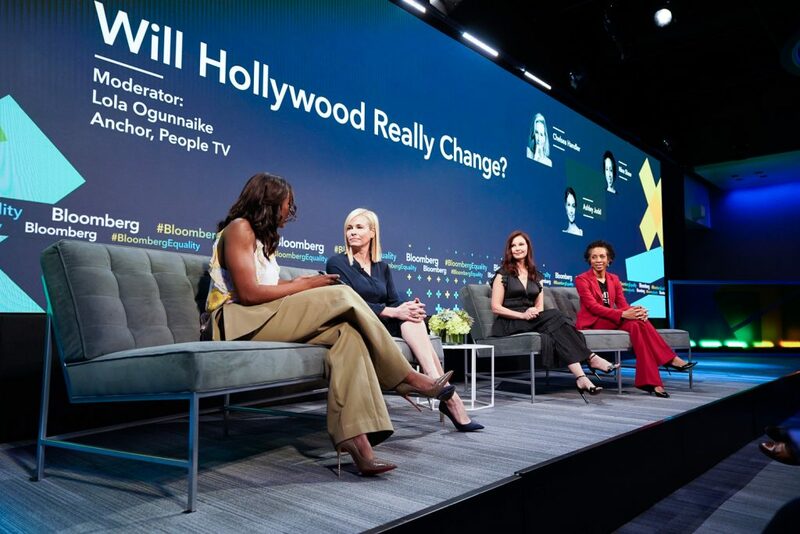 Ashley Judd, Actress, Author and Humanitarian; Chelsea Handler, New York Times best-selling Author, Comedian and Activist; and Nina Shaw, TIMES’UP Founding Member spoke with Lola Ogunnaike, Anchor of People TV on whether Hollywood will change as initiatives such as the Time’s Up campaign have formed to ensure broad change across the industry. Asia Kate Dillon, actor of Showtime’s Billons, spoke about how to be more inclusive as the first non-binary gender identifying actor to ever be cast in a major television series. 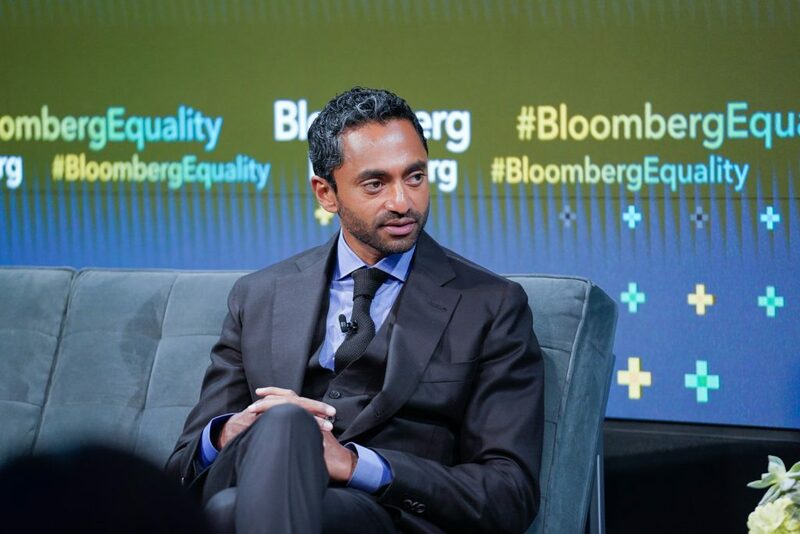 Chamath Palihapitiya, Founder and CEO of Social Capital, spoke with Emily Chang, Anchor for Bloomberg Television, about the lack of diversity and inclusion in the VC and tech communities. 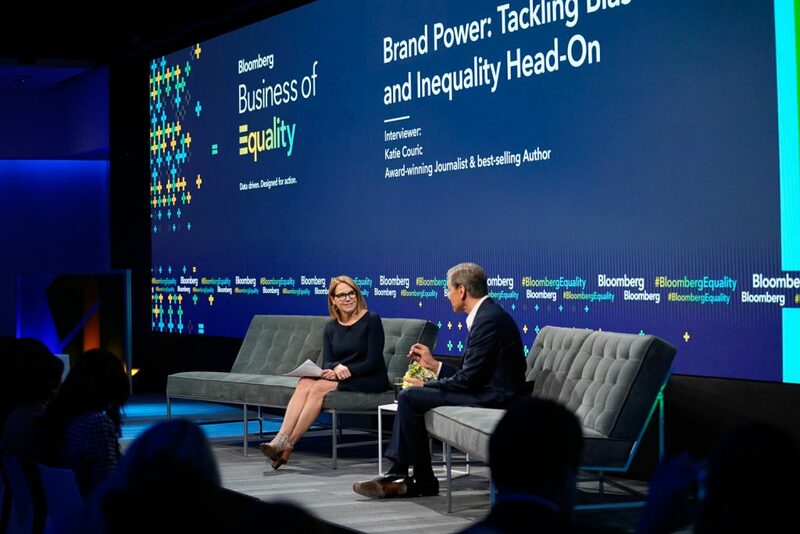 Marc Pritchard, Chief Brand Officer, P&G spoke with Katie Couric, award-winning journalist and best-selling author on how as the biggest advertiser in the world, P&G is sparking conversations with campaigns tackling bias and inequality. 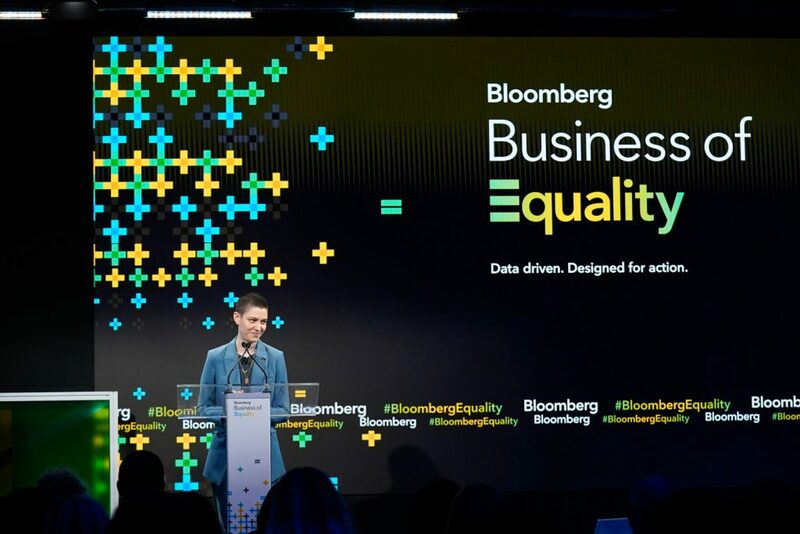 P&G was a sponsor of the Bloomberg Equality Summit. 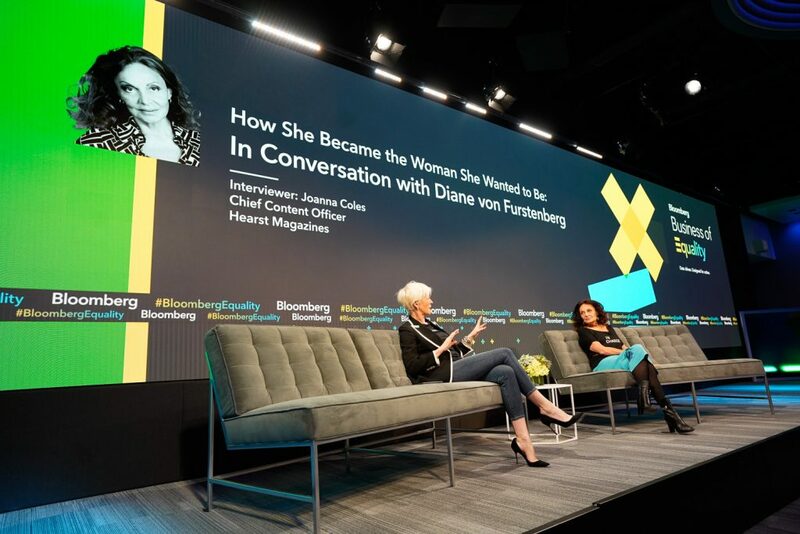 Diane von Furstenberg, Chairman and Founder, Diane von Furstenberg Studio, spoke with Joanna Coles, Chief Content Officer of Hearst Magazines, on how she became the woman she wanted to be. Bloomberg Editor in Chief, John Micklethwait spoke with Bob Moritz, Global Chairman of PwC and Elizabeth Nyamayaro, Global Head of the HeForShe Initiative, UN Women about the importance of male allies and the HeForShe movement. To watch all of the panel discussions and presentations from the summit, visit the new Bloomberg Equality page here. 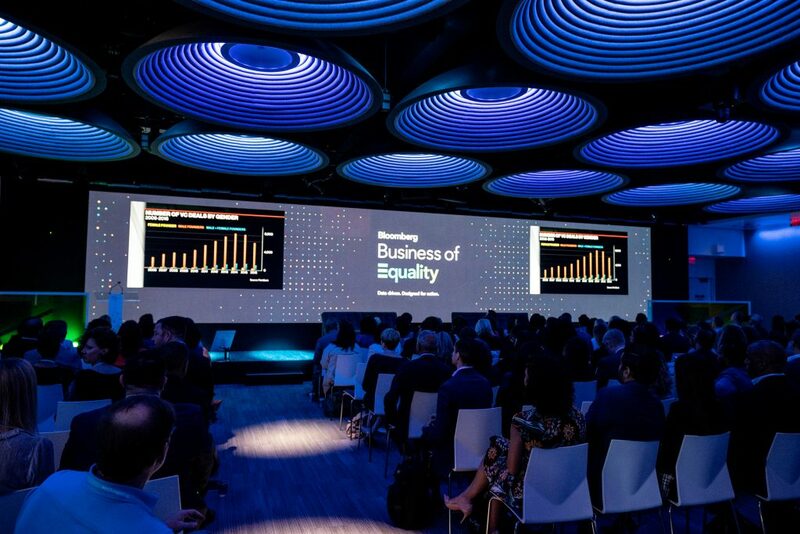 The Bloomberg Equality summit was proudly sponsored by P&G, Bank of America, Willis Towers Watson, Unicorn Crowdfunding and PowerShares QQQ by Invesco. Learn more about the event here. Follow the conversation on Twitter with @BloombergLIVE and #BloombergEquality.